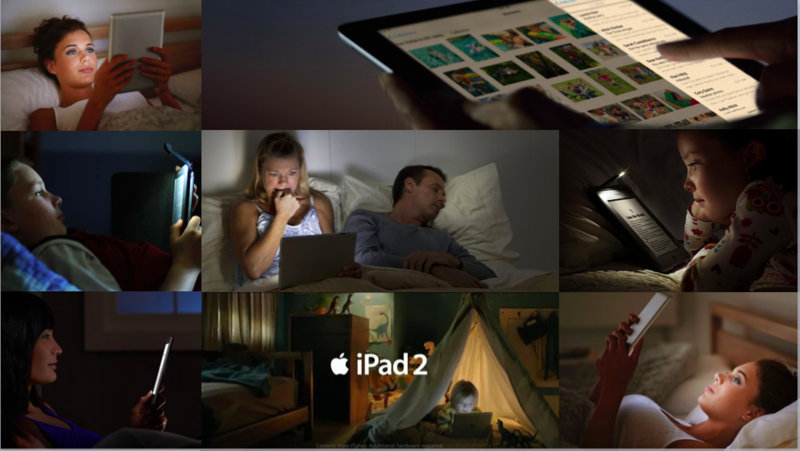 Information & Culture just published (paywall; or free pre-print) an article I wrote about “night modes,” in which I try to untangle the history of light, screens, sleep loss, and circadian research. If we navigate our lives enmeshed with technologies and their attendant harms, I wanted to know how we make sense of our orientation to the things that prevent harm. To think, in other words, of the constellation of people and things that are meant to ward off, prevent, stave off, or otherwise mitigate the endemic effects of using technology. If you’re not familiar with “night modes”: in recent years, hardware manufacturers and software companies have introduced new device modes that shift the color temperature of screens during evening hours. To put it another way: your phone turns orange at night now. Perhaps you already use f.lux, or Apple’s “Night Shift,” or “Twilight” for Android. All of these software interventions come as responses to the belief that untimely light exposure closer to bedtime will result in less sleep or a less restful sleep. Research into human circadian rhythms has had a powerful influence on how we think and talk about healthy technology use. And recent discoveries in the human response to light, as you’ll learn in the article, are based on a tiny subset of blind persons who lack rods and cones. As such, it’s part of a longer history of using research on persons with disabilities to shape and optimize communication technologies – a historical pattern that the media and disability studies scholar, Mara Mills, has documented throughout her career. For decades, shift workers were seen as those most vulnerable to untimely light exposure but today everyone is potentially at-risk. Over the past twenty years, the spread of screens to every nook of personal space has produced nothing less than a new geometry and luminosity of personal space (the crooked elbow, the hunched neck, the glow). Accompanying this new configuration of people, things and lights, are corresponding harms, fears, and tools for preventing and warding off harm. We are accustomed to thinking about media and their effects: we talk about the effect of media content on unsuspecting or vulnerable audiences; we talk about the physically damaging effects of too much or the wrong kind of exposure—hearing damage from concerts, queasiness from 3D movies, repetitive strain injuries from keyboard use. And we often try to position our bodies in relation to media technologies, and away from their harms. My argument is that we are also re-positioned, constantly, towards technologies that prevent harms. These intermediaries—prophylactics—structure our space (are you at a standing desk?) and our time (will you sleep better if you read on an orange screen?). Increasingly, the site of prophylaxis is also the site of potential harm. A driving app that won’t let you type when your GPS coordinates indicate you are in a car—until you affirmatively tell it you are a passenger—unites the source of potential tragedy (distracted driving) with its very own mitigation. By thinking through the arrangement of people and things as an orientation towards prophylaxis—and not just an aversion to harm–what do we learn about compulsory technology use? What does the conspicuous prevention of harm tell us about the legibility of pain and suffering? New prophylactics can also be the entry point for addressing the uneven distribution of harm. Ultimately, this is what I think is most important about night modes. Chronic sleep loss and fatigue are unevenly distributed problems. Those with the flexibility to control when and for how long they sleep also tend to be those with other forms of power, prestige, and control over their work environments. Night modes are just one artifact of renewed focus on a widespread social phenomenon. In essence, these new device settings individualize the responsibility to control one’s exposure to light, while simultaneously highlighting the fact that very few people have the freedom to completely switch off. If you read it, I’d love to hear your thoughts: email me or find me on Twitter. I began this project when I arrived at Microsoft Research in July 2016 and it benefitted immeasurably from the input of the Social Media Collective and our many guests. These guests include: Cait McKinney, Sharif Mowlabocus, Joan Donovan, Amy Hasinoff, Jonathan Sterne, Nick Couldry, Meryl Alper and the participants of our workshop on Disability Studies and Technology.